Founded in 2004, World Trade Desk is a Global marketing and consulting firm focusing on international trade. 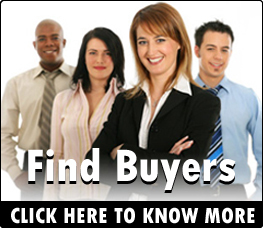 We have been helping customers source their products and/or find buyers beyond boundaries. WTD offers 13 years of in-field industry experience in China, Hong Kong, India, the Pacific Rim, Western Europe and the Middle East dealing with hundreds of producers, manufacturers and service providers globally. We've developed export and import markets and/or operations in over twelve countries, including China, India, Hong Kong, West Indies, Spain, Greece, France and Poland. WTD has one of the highest success rates in the industry at finding profitable foreign markets for clients. Our team's disciplined, strategic focus, exceptional cost effectiveness and depth of in-country experience allows WTD to win consulting bids 60% of the time, versus an industry average of 5-25%. WTD's bottom line focus is at the root of this success. We offer practical services and strategies that reduce your upfront and operational costs, leading to solid results: the rate of return on a Client's investments in WTD's services can be exceptionally high. WTD's commitment to excellence and reputation for integrity are known throughout the industry. We strive to create long term, mutually beneficial relationships for our clients based on trustworthiness and dependability. Having the right contacts is one of the keys to success in overseas marketing. WTD's extensive international networks include hundreds of solid contacts in each of our main foreign markets. WTD's contacts are often highly placed—including individuals at the Board of Directors level in many leading companies. In addition, we maintain several affiliated offices in key foreign markets and can call on a network of proven agents and distributors in 30+ countries. WTD has developed an international reputation for exceptional customer service. Our logistics systems lead to high levels of on-time deliveries with very low rates of loss and breakage. Our agent performance systems and contract expertise maximize results and minimize agency and collection hassles, while our through Action Plans assure that critical tasks are done on time. WTD's expertise can give your company a reputation as a top flight player in foreign export markets. WTD is one of the few international marketing firms that can offer a total solution - everything you need to begin and successfully operate an import/export venture. We can and often do design and build a company's overseas marketing and distribution arm from the ground up. If you are looking for a reliable, one-stop solution to your import/export needs, WTD can provide it.